Enter the world of your childlike imagination. The music fits the level perfectly! And all the strings on the lights in the background, and everything... whoa, this is amazing. Thanks! I really couldn't decide which song to put so I just put something more relaxing. Oh I was thinking original poster which didn't make sense haha. The thing you did with the trees (and clouds) to make the moonlight shine onto them is really amazing! Especially at the transition from inside the building to outside in the moonlight, beautiful! I actually intended the trees to look like paper cutouts on stands like props in a play which goes with the things hanging on strings to make it look like a play or a diorama. Haha I like Winnie the Pooh. By the way, that Legend of Zelda reference was amazing. Hahaha Majora's Mask is my favorite Zelda game. One of the most beautiful maps I've seen on Atlas. Thank you very much. :) I'm glad you think so. This is legendary. Very well done. So freaking beautiful! And so smooth gameplay at the same time. Thanks. I was hoping it would flow okay. This map is so visually impressive. Amazing work. This map is the best one I've seen. Like, its so perfect. Wow! So beautiful! How did you do that effect with the trees? Bunch of shiny props behind them? You got it Vox. That's why I couldn't do it on other layers because the parallax would have misaligned the props. 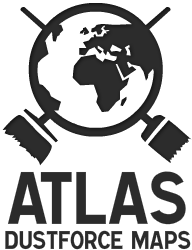 I just realized Atlas is lacking a favourite maps tag kinda thing. Hopefully in the new version of Dustforce there will be a favorite tab because that is a brilliant idea. This map is incredible, lives up to its name without a doubt. I love how it resembles a stage with props hanging down from strings. Awesome! Thank you that's was what I was going for. how did you comment so fast? lol, when i read "I got really lucky" i thought you broke my any%. So beautiful in the details. So can we all agree that this needs to be included in the update? Haha thank you. I'm glad you could enjoy it. I wish there wasn't hidden ground that makes you go on thin air. Everything else is awesome.